a family of chess programs developed by Marcel van Kervinck. Rookie started its life in the early 90s, evolved from a mate-in-two problem solver, and was entirely written in 68000 assembly  to run on an Amiga, since Rookie 1.0 with an own Graphical User Interface written in C . Rookie 2.x was pure C and active during the late 90s, while Rookie 3.x, a complete rewrite from scratch  , appeared in 2010 after Marcel took a long break from computer chess programming. 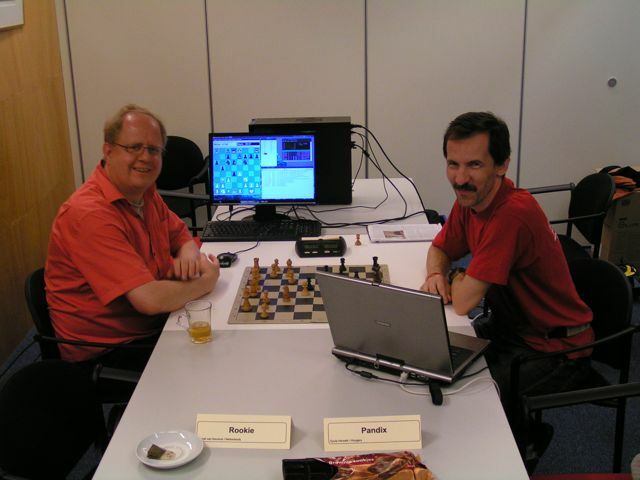 The Chess Engine Communication Protocol aka XBoard compatible Rookie 2.0 was written in C and subject of Marcel's Masters Thesis at Eindhoven University of Technology in 2002, with a detailed description of its design considerations and implementation decisions  . Chapter 2 covers the search topics PVS, iterative deepening, quiescence search, move ordering, SEE, killer- and counter moves, history heuristic, fractional extensions, pruning, null move pruning, transposition table, and a Bloom filter like hash table to detect repetitions, and much more interesting stuff. After years "out of business", Marcel started Rookie 3.0, a 100% rewrite from scratch, but still using incremental attack tables and dynamic piece-square tables of Rookie 1, so he decided to stick with the name  . 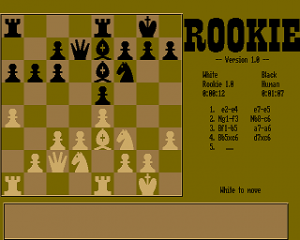 Rookie 0.82 had its debut at the DOCCC 1993, Rooie 2.0 further played the DOCCC 1997 and DOCCC 1998, and Rookie 3.x the DOCCC 2010, CPT 2011, ICT 2011, CCT13, the Fifth Annual World Computer Rapid Chess Championships 2011, and the 19th World Computer Chess Championship in Tilburg 2011. 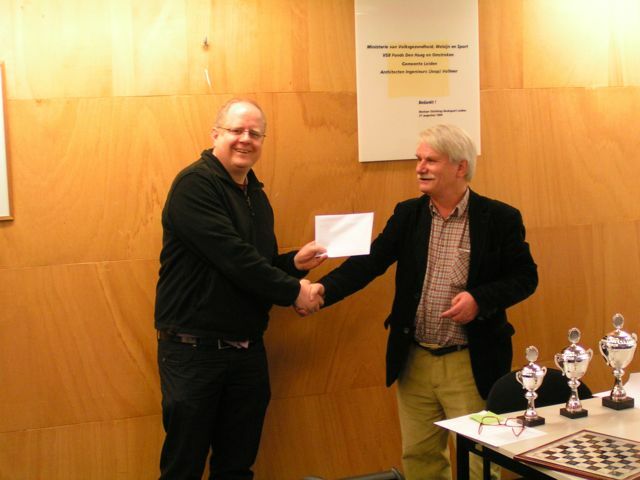 In June 2013, Rookie with upcoming repetition detection  implemented, won the ICT 2013 . Marcel van Kervinck (2002). A pattern-recognition strategy for chess position evaluation. Slides from The design and implementation of the Rookie 2.0 Chess Playing Program. ↑ 'Rookie' timeline from Marcel van Kervinck (2002). A pattern-recognition strategy for chess position evaluation. Slides from The design and implementation of the Rookie 2.0 Chess Playing Program. ↑ Images from Marcel van Kervinck (2002). A pattern-recognition strategy for chess position evaluation. Slides from The design and implementation of the Rookie 2.0 Chess Playing Program.